I’m pleased with the number of votes, which I think reflects the great interest the public has in this project. As they should for something that is going to likely cost in the neighborhood of $4 billion! 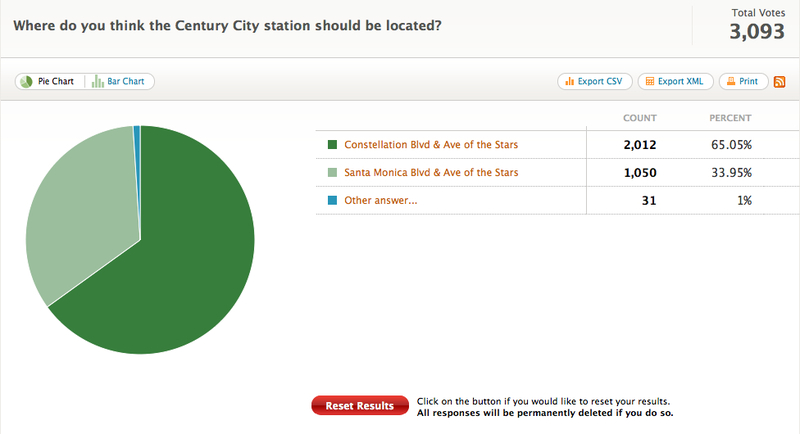 In our most recent poll, on the Century City station, there were several votes for “other.” Among the more interesting ones listed were sites beneath the Century City mall and at Century Park West and Olympic Boulevard, beneath a public parking garage. There were also — not surprisingly — some differences of opinion expressed in the comments. Of course, this is an anonymous and unscientific poll — interesting, I think, but not conclusive. The polls are no substitute for the formal process the public has to comment and help shape the environmental studies that dictate how the subway project will eventually get built. I wrote about that in a recent post — which you’ll find after the jump. 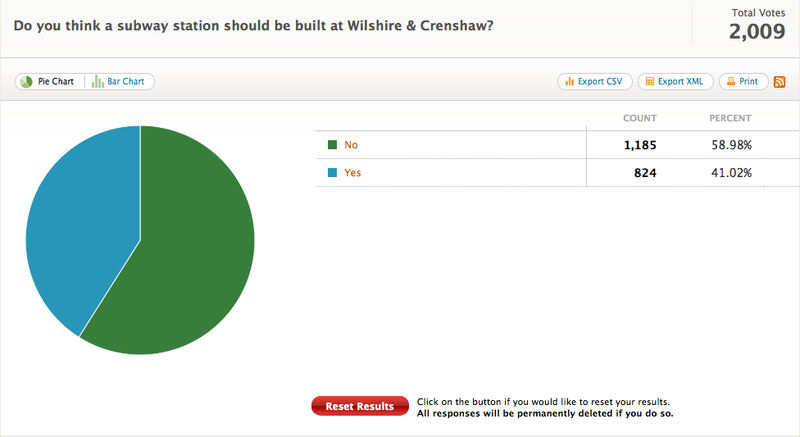 If you would like more background on the issues in the above polls, here’s a post about the Crenshaw station issue and here’s a post about the station location issue in Century City.